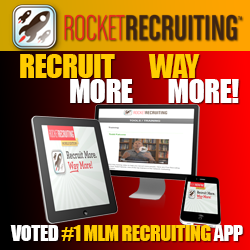 [Hidden Gem] Where I Get Over 1,000 Network Marketing Leads Per Day! Your going to freak out!! 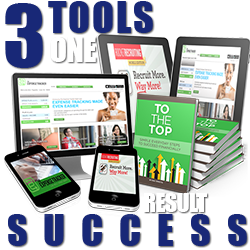 I just discovered a complimentary site for Independent Business Owners (IBO’s) that Rocks! 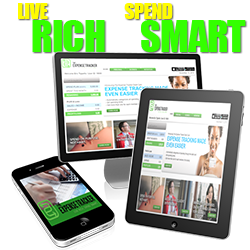 This website let’s you promote you and your opportunity in a massive targeted audience. Best of all….it’s complimentary! 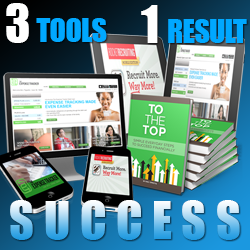 They get about 300,000 visitors per day that are all looking for opportunities…like yours! It was so easy! 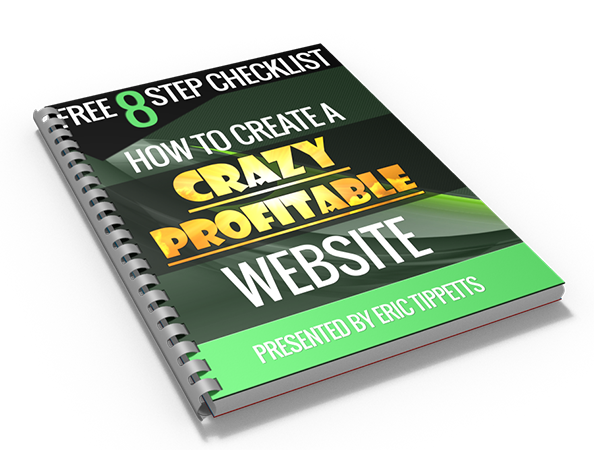 This is an absolute must for people just beginning online and trying to get traffic and leads. They give you free advertising credits also to use. If you want to step it up, you can buy advertising and really put your business on fire! WOW! This site is for the newbie’s looking to get exposure and really step up building their business online. It goes without saying that IBOtoolbox is a very busy and active business building social network. Being a free system opens the door for anyone and everyone to use the system to build their businesses. This has some draw backs but Ill discuss that on another PR. However, you also need to realize that the marketing possibilities (selling products, enrolling new members, etc..) extends way outside of the inner workings of IBOtoolbox… In order to get a better understanding, lets look under the hood a little bit. UNDERSTANDING THE TRAFFIC – WHO, WHAT, WHERE? IBOtoolbox is divided into 2 sites, the private side or back office, and the public side (your profile) IBOsocial. Everything you do inside of IBOtoolbox is posted, formatted, and presented in a professional manner on your IBOsocial profile. This is where all that nice inbound organic traffic is coming to look at. IBOsocial profiles as of the 25th of April, 2016 they are now receiving up to 350,000 unique visitors each and every day. This is a lot of traffic. Not only is it a lot of traffic… It is organic, niche, and keyword driven search traffic. People, human beings, are searching for and finding what is put into your IBOsocial profile. Kris, their dedicated IBO trainer continues training webinars, when it comes to paying attention and keeping things professional. There is very good reason for this. Remember whatever you put inside IBOtoolbox is being seen by the very people who found you through there searches. So, again, please keep things on a very professional level when posting PR’S, commenting on things, your wall posts, etc..
Now that we have an understanding of the importance of IBOsocial, lets talk about the opportunites to sell. 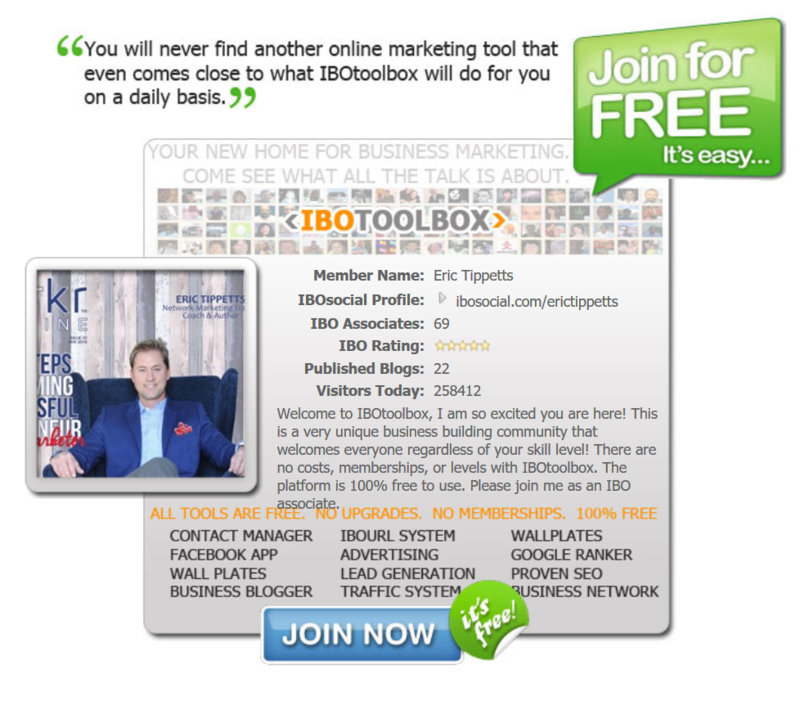 IBOtoolbox is a social network of like minded, common goaled, Internet marketers. Lets be honest, people come to IBOtoolbox to sell. That’s great, tha’ts what the platform was designed for. But, first lets look at where the opportunities to sell are. Your IBOsocial profile is the primary place where an opportunity to sell is located. As stated above, this is where ANYONE (members and non-members) can read all about who you are and what you offer. You profile is your online business store front. Most people do not like to be pressured into a purchase. Your profile gives a person a nice no pressure environment to check you out. There are several ways for you to get a “presence” on another members profiles. By running advertising (468×68) and checking other members profiles you can run an ad on others pages. But, you can also comment on members wall posts, PRs, and videos.. Every time you leave a comment it is going to show up on their profile for others to read. Please keep in mind that well thought out comments will generate more interest in you than lets say a “nice pr..” comment. That’s common sense right? You can also run ads on just about any other platform we have from your IBOtoolbox ad system. This is a very easy way to get infront of a lot of people! This is where most members of IBOtoolbox miss the boat. This platform is full of like minded people just like you. There are many who are looking for a better opportunity, system, gadget etc… **BUT** the opportunity will only present itself if you are PASSIVE! You can not spam your opportunity! Everyone on this platform is here to sell, NO ONE wants to be sold. That’s not saying there are not potential customers here, you just need to know how to do it right. How do I sell to associates then? I said passively… Everyone has a profile and all members know how to find and review your profile. An associate will be reading your PRs, watching your videos and commenting.. They will see what you are all about by the way you post things through IBO. Instead of spamming your associates with your opportunity, software, or gadget… write PRs about it. If they are interested, they will be in contact. How do I stand out on this platform when there are so many people on IBOtoolbox? We get asked this all the time.. The answer is very simple, “Participation”. When you participate you will generate more associates, more traction on your PRs and posts, and you will also generate an authority. Ever wonder how a particular member of IBOtoolbox will post a PR and get TONS of comments causing that PR to constantly be pushed to the top of the wall? Its because of authority. They are members who PARTICIPATE. These members usually have badges, many stars by their name, and are also the ones who get chosen for the Featured member of the day! They are adding value to the system by participating. Simple fact.. those members who have badges showing are more likely to get profile clicks! Look at your wall posts and then look at a successful member of IBOs post. Most likely they have badges and stars. 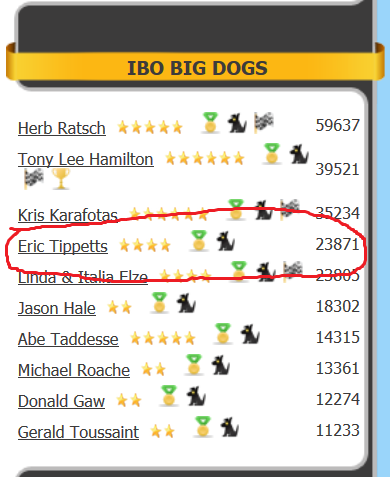 When it comes to standing out on IBO, badges and stars are a MUST. If you want to succeed on IBOtoolbox you need to participate. You need to maintain as many stars as you can, you need to run as many ads as you can, you need to provide good feedback on comments, and you need to ADD VALUE to the system! Those who participate, will succeed. Those who take shortcuts, spam, and try to force sales will be looking around wondering how others are making this work for them. I look forward to connecting with you on this site. 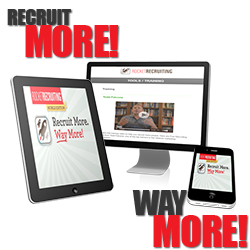 I think this can help any business owner start to get more leads, more sales, and more referrals! 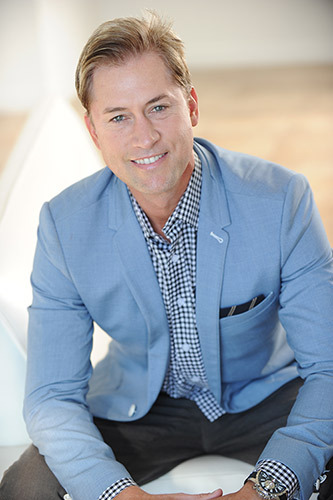 If you enjoyed this Blog…[Hidden Gem] Where I Get Over 1,000 Network Marketing Leads Per Day! Please comment and share. Previous post Book of The Month Review – The Ultimate Sales Machine by Chet Holmes Next post #1 Obstacle in Network Marketing…and How to Avoid it!